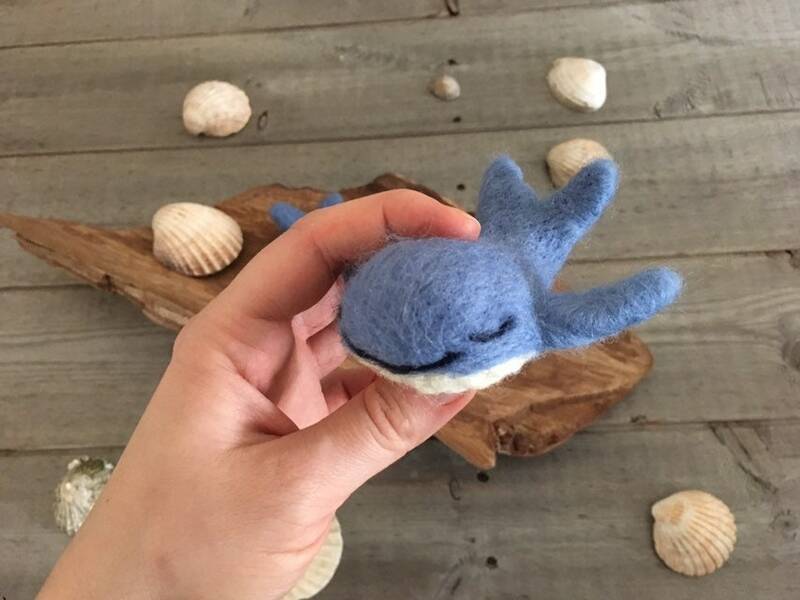 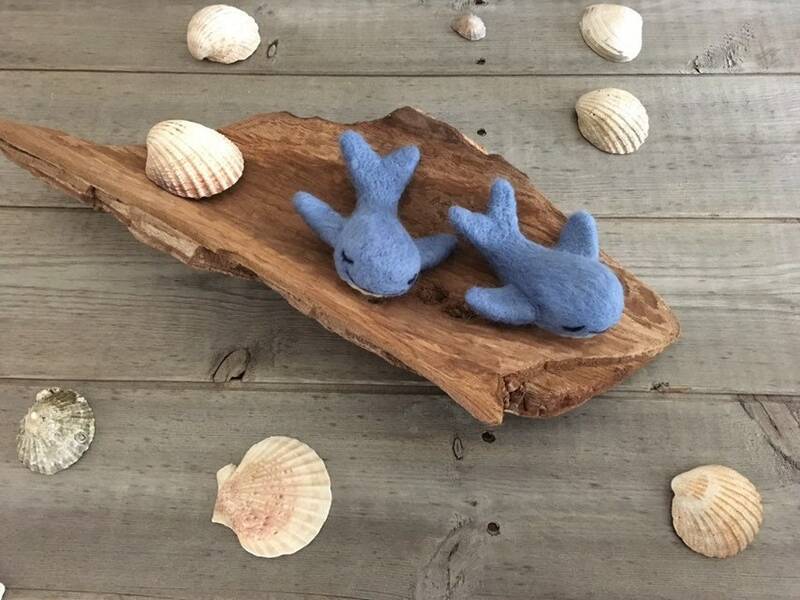 This adorable Tiny Whale made of merino wool. 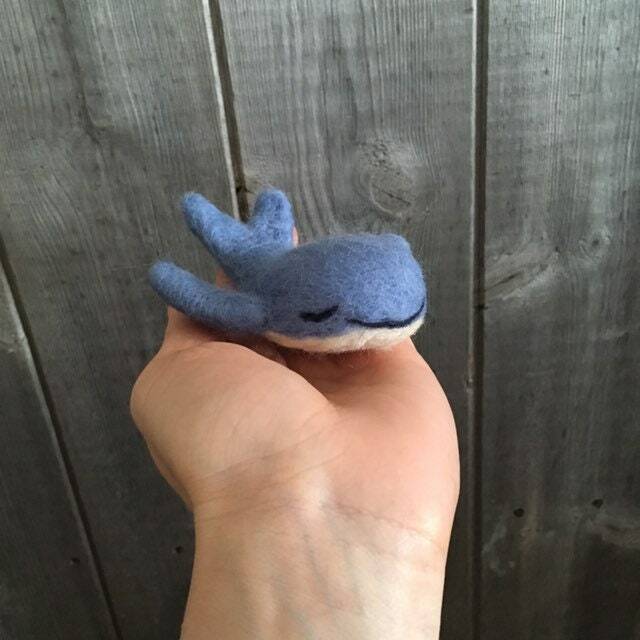 measures +/- 4.5inches (12cm) tall. 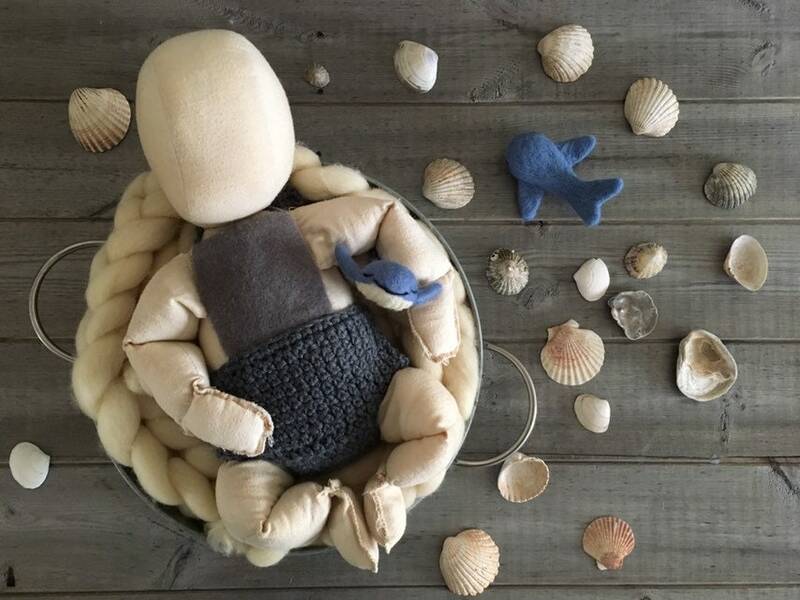 This soft whale is the perfect size for a newborn to hold while taking baby's first photos.